To say that there are a lot of contenders for the Iron Throne is an understatement. It is likely that the final season of Game of Thrones will end with a new ruler of the Seven Kingdoms — and for many fans of the HBO series, that person is Sansa Stark. There is no doubt that the daughter of Ned Stark has had one of the biggest transformations since we first met her in Winterfell in season 1. From being held captive in King's Landing to being forced to marry the worst villain in TV history, Ramsay Bolton, Sansa has morphed from a naive young girl to a fierce (and deadly) force to be reckoned with. Our girl has been through a LOT, and now that Sansa is back in Winterfell where she belongs, she has proven to have the leadership skills — and scheming – needed to be a queen. Sorry, Daenerys. 1. So, will Sansa sit on the Iron Throne? Many fans believe Sansa is the complete opposite of Cersei Lannister (the current Queen of the Seven Kingdoms) and the Mother of Dragons Daenerys Targaryen — and that proves she will likely end up on top. "I keep being reminded of that quote by Tywin way earlier in the series, something like, 'A man who has to tell people he is the King is no true king.' Cersei and Dany insist they are the true rulers of the realm and wield their power to keep those below them in line," a fan theorized on reddit. "I don't see a huge difference between Cersei and Dany at this point, but Sansa is quietly becoming everything the two increasingly violent Queens are not. She's kind; she's diplomatic; she's pragmatic." 2. Sansa will sit on the Iron Throne... eventually. There is another theory that Sansa will rule the Seven Kingdoms... through Jon Snow and Daenerys Targaryen's orphaned child. Yep, it is a lot to swallow. "The Iron Throne will be destroyed by wildfire - Sansa will raise Jon and Daenerys' orphaned daughter making her Queen Regent of the Seven Kingdoms," the redditor speculated. "Years later, the people will choose "The Last Targaryen" The Princess that was Promised to be Queen of the Seven Kingdoms and Sansa Stark will be the Lady of Winterfell and Warden of the North." 3. Sansa is definitely not Team Daenerys at first. "Dany can call the shots with Jon in a way Sansa cannot and she begins to feel powerless. 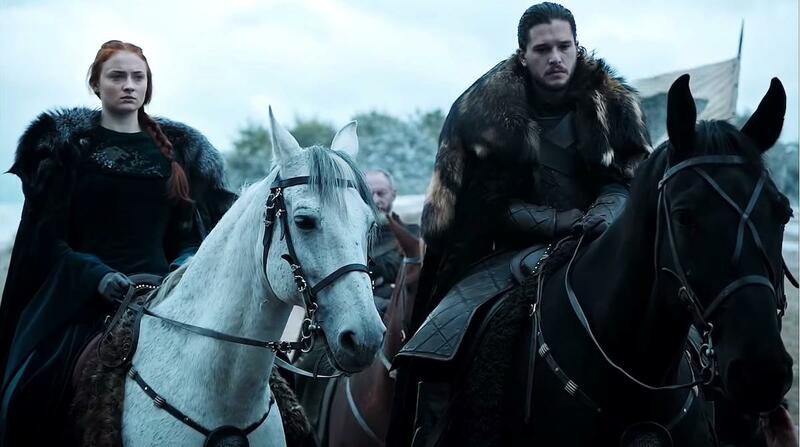 There will also be pressure for Jon to forge an alliance with a Targaryen marriage." "Sansa is rightfully distrustful of both the situation and Dany, as anyone in her position would be." But it looks like that tension between Sansa and Dany — who finally meet in Season 8 — will not last long. "How these fan favorites get along drives much of the drama this season," EW reported. "(Okay, here’s one specific tease from the premiere — Sansa isn’t thrilled that Jon bent the knee to his fancy new Targaryen girlfriend, at least not at first)." 4. Will Sansa betray Jon Snow? However, that is not stopping fans from thinking Sansa's dislike for Daenerys will cloud her judgement and turn her against her brother, Jon Snow. "She likes her brother but she doesn't trust his judgement fully. Then look at her hair in that scene. It looks like Cersei hair in season one and two," one fan predicted. 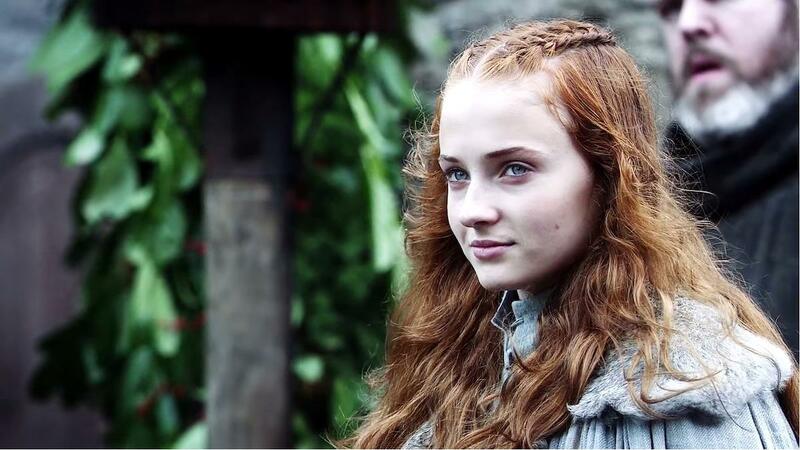 "We know that Sansa takes the look of her current role models at that time. I feel like she will do something sneaking like Cersei and betray Jon." Others disagreed, pointing out the obvious, "Sansa isn’t betraying Jon and Dany/Sansa differences won’t last long. There are way bigger issues going on." 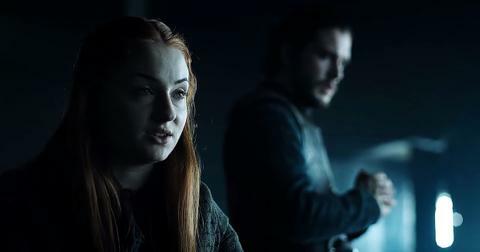 Another agreed, adding, "The Starks are now a united front and they will defend and protect each other, and I think Sansa will be at the forefront of that. 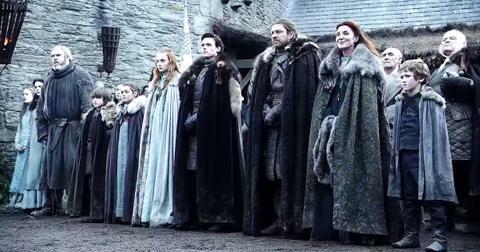 Sansa this series will be all about House Stark and defending those she loves." 5. 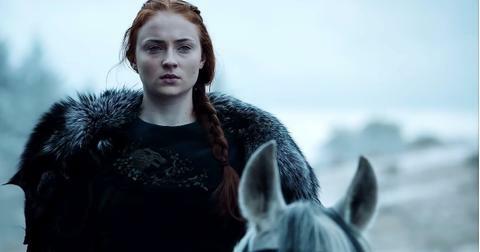 Will Sansa survive 'Game of Thrones'? While no one is safe in Game of Thrones, Sansa is arguably one of the most protected characters on the series, as one viewer pointed out. "After everything she went through, who has a stronger network of support than Sansa? She has Brienne sworn to protect her who is an absolute unit, Arya the faceless man, Jon who is one of the best fighters in the show now, the Eyrie, knowledge from the three-eyed raven, and the North who is loyal to the Starks," they wrote. "Not only that but she is not in a position such as Jon or Dany where she would have a target on her back or be at immediate risk." Watch Game of Thrones when it premieres Sunday, April 14 at 9 p.m. on HBO.